Mar 06 - Jun 24, 2011 — Kiesendahl + Calhoun Fine Art, Ltd. 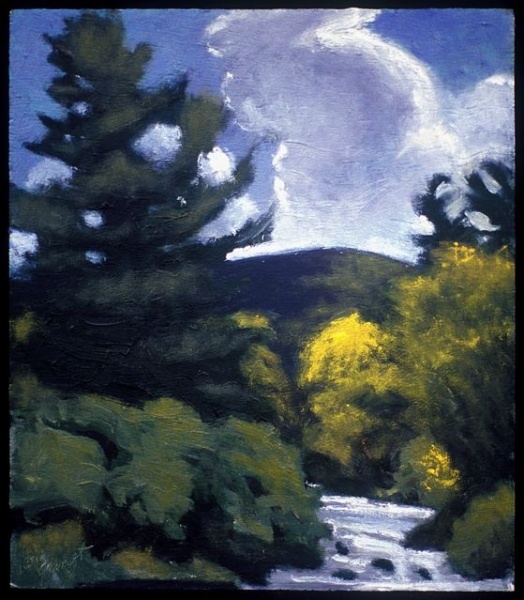 This Spring exhibit at the Lodge features artists from the Woodstock, New York area. Cristeen Gamet is a lush, painterly plein air painter of landscapes. Master printmaker and painter Anne Crowley paints a kind of fantasy of the wondrous world outside her door, of birds and bees and deer.